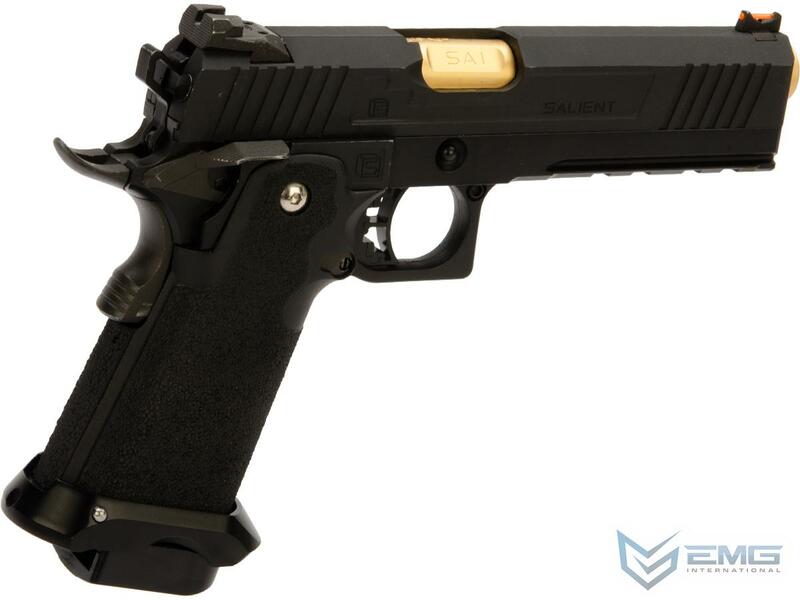 Building upon the popularity and the success of the Salient Arms DS 2011 pistol as a go-to personal defense weapon that shoots like a competition gun. 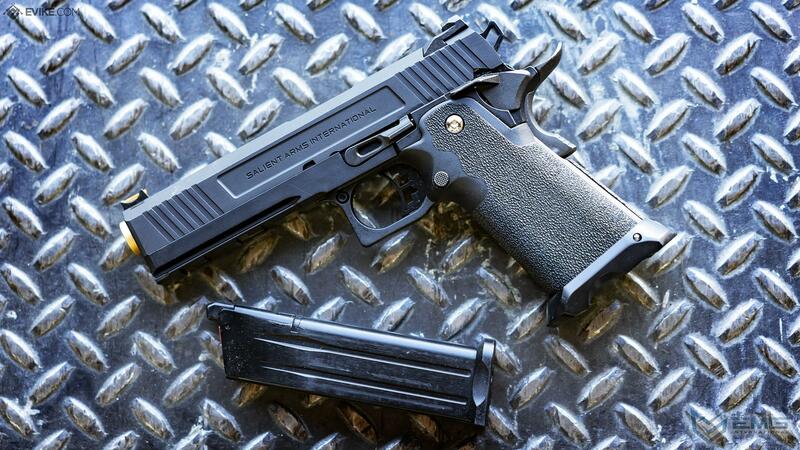 This high performance, rugged weapon system is precision machined from top to bottom. 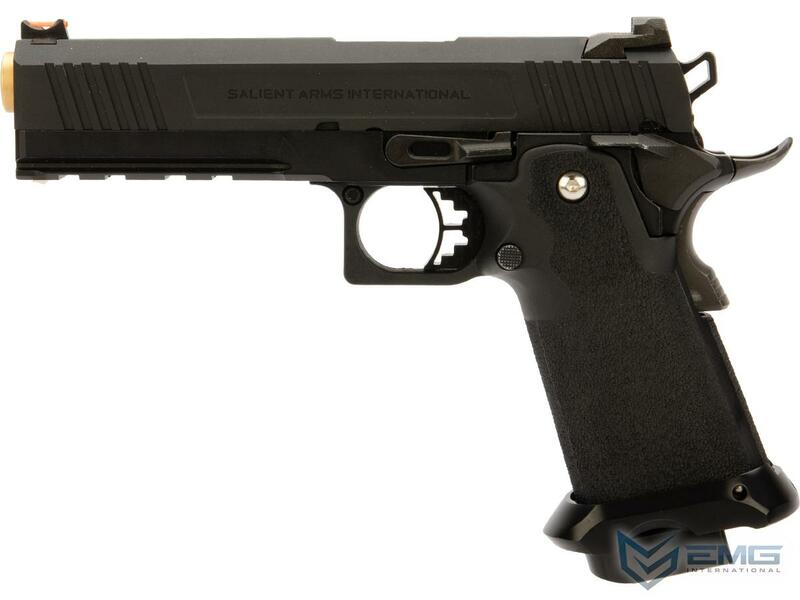 This is a weapon where form follows function; this weapon demonstrates an aesthetically pleasing display of precision and craftsmanship where each facet, each cut is made with the sole purpose of enhancing the shooting ergonomics of the pistol. 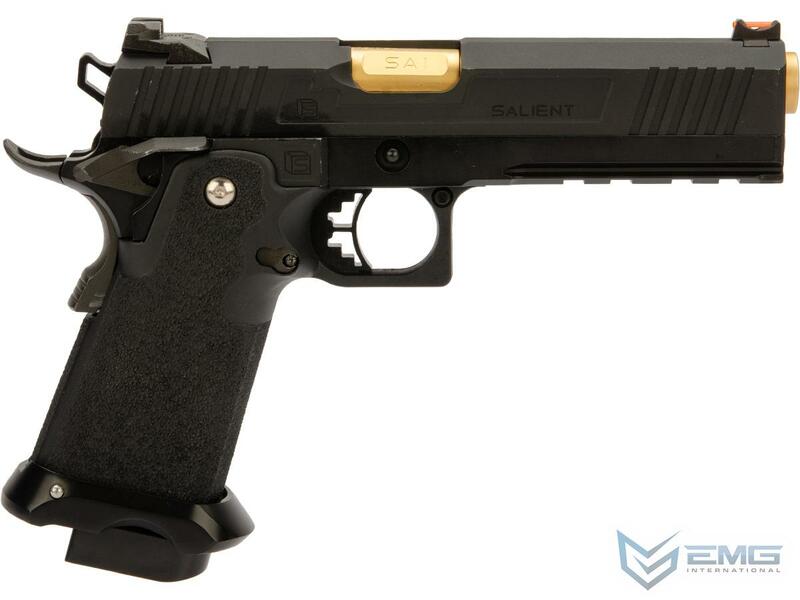 EMG has extended their collaboration with the Salient Arms and is proud to release the Salient Arms x EMG RED Hi-Capa collaboration Airsoft Training pistol. Manufactured with an eye to detail the EMG SAI RED Hi-Capa slide is CNC machined from aluminum alloy with an injection molded polymer frame. 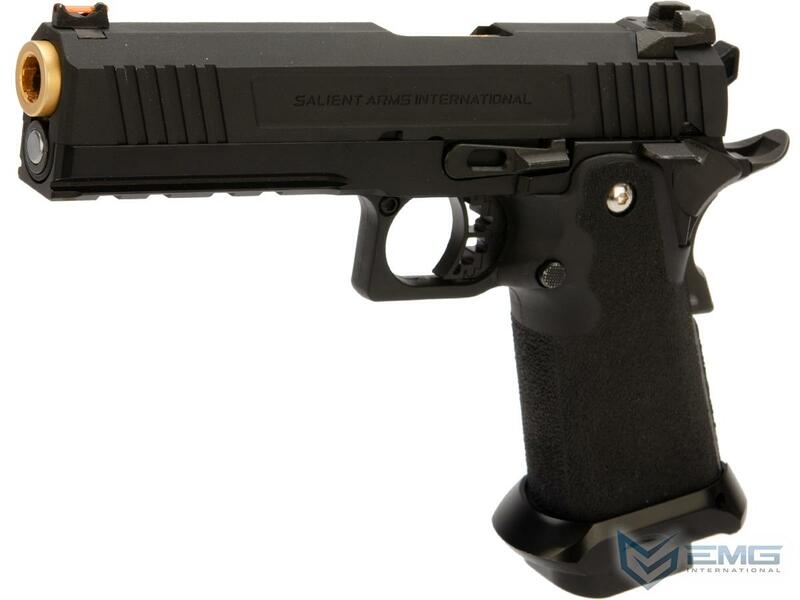 Additionally the pistol features all of the trademarks of a Salient Arms pistol, incuding: a titanium nitride style barrel, competition style sights with fiber optic front insert, ambidextrous safety and, of course, stamped Salient Arms International rollmarks. 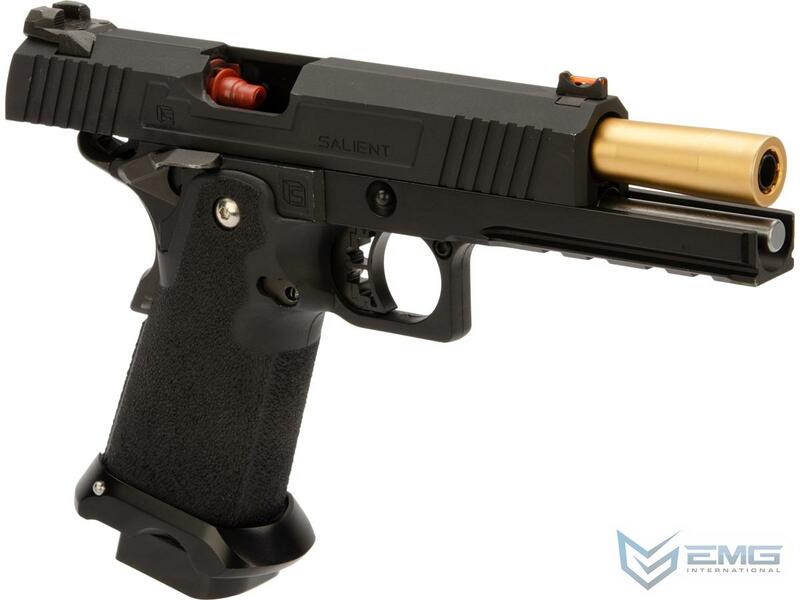 Utilizing the Tokyo Marui 1911 gas system, the Salient Arms / EMG RED Hi-Capa pistol can be upgraded from a wide pool of available parts and components, ensuring easy repair and maintenance and years of reliable service. Magazine: 30+1 rounds. Best performance with AW Custom Hi-Capa series and EMG 2011 mags. For other brands (WE, Marui, KJW) optimized performance is not guaranteed.